I have tested my vitamin 25(OH)D2 and 25(OH)D3 level and it is 28 nmol/l and the normal range is written on the result paper to be 75-200 nmol/L,and 11 ug/L the normal range is 30-80. Is my Vitamin D blood level too low? I'm sorry that you have been feeling so bad. But that's great that you finally have a reason. Your level is VERY low and while it's GREAT that you doctor is giving you D3, it's likely that it's going to take a long time to bring up your levels using only 45,000 IU's per week. That's only 6500 IU's per day which is a maintenance dose for some people. You may want to ask your doctor to give you double that dose for the first 4 weeks and then decrease it to 45,000 IU's per week after that. That would help to bring up your levels more quickly. Make sure that you also read the Normal Vitamin D Levels page and when you are retested, you want to have your 25 OH D Level between the researcher recommended levels of approximately 127 to 250 nmol/l and NOT the lower numbers that are on your test. Those numbers are too low according to most vitamin D researchers. if I take vitamin D3 by wednesday,when should i take it again,is it ok to take it on sunday?? That's mean every wed and sun,that well be twice per week. It doesn't really matter when you take it. You could take it all at once, just one time a week or take it twice a week if that feels better to you. The weight does make a difference, but you'll need high doses to get up to optimal level, so it's not really that important until your level is at the optimal level and you need to take a maintenance dose. is it right that eating avocado or walnuts with vitamin d3 helps my body to absorb the vitamin. Yes, avocados and walnuts both contain fat and you need to take Vitamin D with fat for it to absorb. concentrations could be achieved as early as 40 days following the start of daily supplementation. 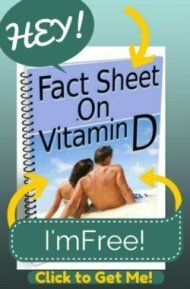 relief from neuralgia was achieved at 3 months after beginning vitamin D supplementation. In another clinical investigation, female patients with osteomalacia who responded to vitamin D supplementation first noticed symptom resolution at about 40 days after the start of therapy, and pain relief was nearly complete by roughly 90 days [de la Jara et al. 2006]. However, one of the patients required 7 months of supplementation to become pain-free. However, muscle pain may need 6 months and muscle weakness or fatigue may require up to 12 months to resolve [de la Jara et al. 2006; Glerup et al 2000b; Heath and Elovic 2006], but some improvements in muscle discomfort could be felt within 4 to 6 weeks. 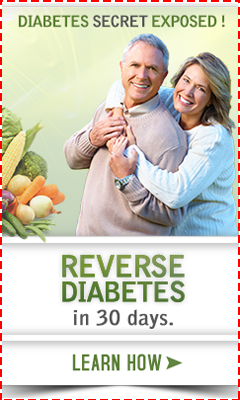 allowed for fully assessing either the benefits or ineffectiveness of vitamin D supplementation. number of months, even up to 9 months, to reach its full potential in helping to relieve musculoskeletal aches, pains, and/or related symptoms. Will what do you think? Am I gonna feel ok after a few months? I'm sorry I know it's a lot of questions..
Well, if that's your only problem..
Well, you've done as much research as I have (probably more) on the time frame that it will take for you to get better. So, according to your own research, it could take up to 12 months to feel better. Be sure that with your level so great that you are now taking a maintenance dose as on the Vitamin D Requirements page. A lot of people forget that and their levels slip back again. Then, the other issue, Mun, is that most people with such severe vitamin d deficiency find out that they have that problem and think that fixing that will fix everything. But, in my experience, that is just the only thing that doctors have FOUND to be wrong with you!! But nutrient deficiencies don't often occur in complete isolation. So, in other words, if you have Vitamin D deficiency, what lifestyle issues do you have that CONTRIBUTED to your deficiency? And what other nutrient deficiencies are you also likely to have because of that lifestyle? The health or disease state of your teeth? All of these factors could be contributing to your fatigue and not JUST the vitamin d deficiency. What help can I give you with addressing any of these factors? Do any of these jump out at you as being lifestyle issues for you? I write to you because I really believ in you,And your answers is very helpfull. I've been reading about adrenal fatigue,And I'm 100% sure that my symptoms due to adrenal fatigue so I've been searching and I found this Adrenacalm cream,and Adrenastim cream,do you think this is really work,Or have any side effects? Cuz I really get sick whenever I take pills So I prefer the cream,gel form. I wish that I could help, but I have no experience with either of those products or any other products in a cream form. Some things do get absorbed through the skin and can act on the body in that form, but whether those products do or not, I don't know. Maybe someone else reading this has some experience with those products and can help better than I can. Hi. I've discussed Vitamin D and Weight Control already. Please click the link to that page. There are several threads on that topic.